FROM THE NORTH: Take I-95 to exit 122 SouthEast on US-521. Follow US-521 for 22 miles to US-52. Turn South and go another 26 miles to Manigult Dr. Turn right and go another .6 miles and veer to the right as the road changes names to Old Black Creek Rd. At end of the road, turn left onto Short Stay Rd. Campground is at the end of the road. ---- FROM THE SOUTH: Take I-26 to exit 199 East on US-17 Alternate. In about 18 miles, turn North on US-52. In about 1.5 miles, turn left on to Powerhouse Rd. There's a sign for the Rec Area. Go .25 miles and turn right onto Old Black Creek Rd. At the end of the road, turn left onto Short Stay Rd. 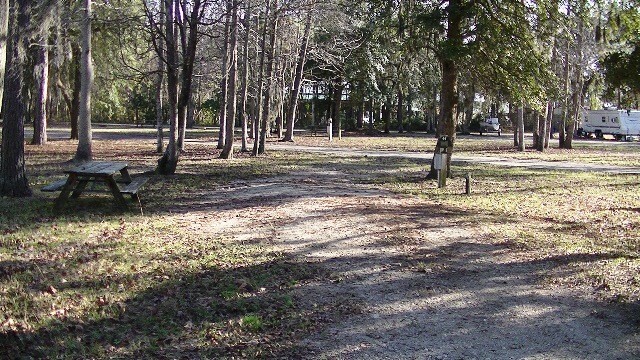 Campground is at the end of the road. Accepted, but not by Email. Wi-Fi available (only near the office). Tents and waterfront RV sites can stay up to 30 days. Rates vary depending on season. Low season is November - February. Lodging rates vary on season and type of lodging. Large rental halls also available. $1 per person day use fee. Annual and group day passes available. Rentals available includes 2BR Villa, 3BR Villa, Roundetta, 1BR Log Cabin, 2BR Log Cabin, Bunk House, Clubhouse, Conference Center, boats of various sizes. 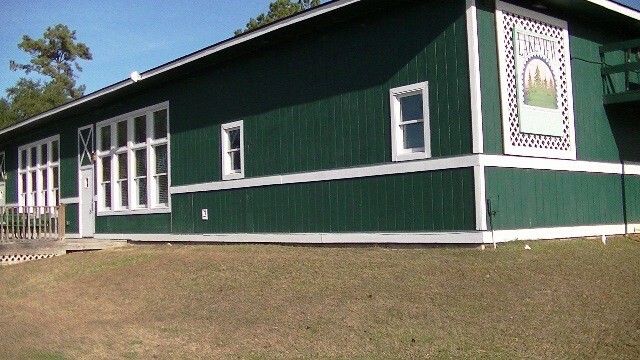 Propane, Game room, Volleyball, Conference Center. This is our first stay at Short Stay. We are from just a few hours away and don’t get to go often or far on weekend vacations. 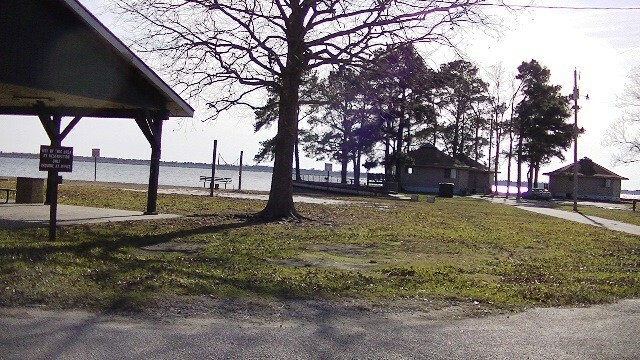 The location is awesome, situated on the banks of Lake Moultrie, one of the premier lakes in SC. Arrival and check-I; was easy. I was given a list of sites available based on what I reserved and sent to pick my site. Thank goodness I was going Vern the option as out of 12 sites only one was not covered in water. I understand that it had rained heavily that morning but to have the majority of the available sites covered in water really isn’t acceptable. We noticed that the best sites that didn’t have concrete pads were occupied by full-time residents or old, broken down looking rigs that have obviously not moved in a very long time. We had at least three immediate neighbors that are obviously using these sites as seasonal or permanent sites and only come in every now and again. I would have to say that over half the campground sites are occupied full-time. Out of 68 sites not t listed as “Monthly” over half are filled long-term. The 50 amps sites all have concrete pads and most are water front. Some of these seem to have permanently parked rigs on them. I’ll know better next time to make sure I reserve a 50 amp site. The store was nice and appeared to be new. The bath house left much to be desired. The shower stall that I used was dirty with someone else razor stubble smeared on the walls, thankfully the stall was large enough that I could avoid the wall easily. Overall it was a decent place for the place, however, I have stayed at nicer for less. 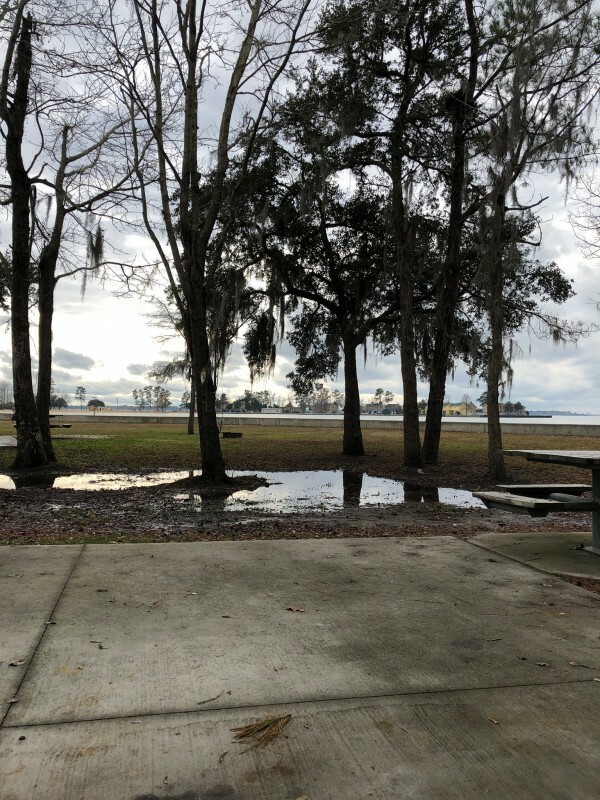 If they would get the permanent RV storage out and clean up the sites so that they don’t all flood when it rains it would be a much nicer place. Nice campground. The 50 amp sites area all concrete. Site 7-20 (50 amps) all have water view. All the 30 amp sites are on dirt, and most of the 30 amps sites were flooded during this time. They have had more than 8 or nine days of rain. 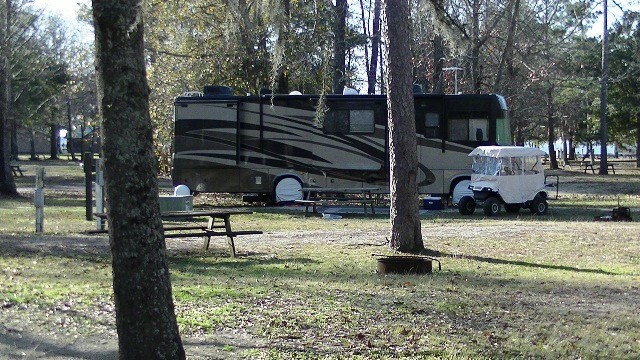 There are several full timers living at the campground and some of the other sites were being used as long term storage. Everyone we talked with pleasant to deal with and I am looking forward to going back. Worth the drive. We only had two issues and weather is not something that any of us can control. The other is was that, we went out for a few hour drive (Class B) and when we returned our rug was missing. We left it because it was soaking wet and to show the we are coming back. We did ask the security guards if they moved it and they said they did not. The store is open 24 hours, and they have boat rental. We only paid $24 per night (it is off season). Worst experience ever. Two words, bed bugs. Rented a three bedroom cottage/townhouse and they are tired and run down. Could use a complete scrub down. Windows and doors don't shut properly blinds are broken and kitchen is dirty with stains on wood from many years of hands and never been cleaned. But the worst is waking up on the first morning to a bed stained with little blood stains from my husband and I being munched on by bed bugs in condo number 13. We freaked out they offered condo number 10 to move to. We did a thorough inspection before we moved in and that too had bed bugs. Fecking gross. We had to wash all of our things in hot water and inspect all of our things. we got a refund and got the heck out. I can deal with campy trust me this was a nightmare. Whole place needs a makeover and apparently a fumigation! Never again. We stayed 5 days, enjoyed the park greatly. Personnel were very friendly and always helpful. 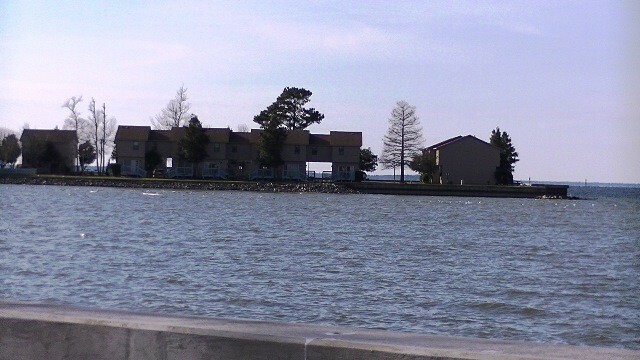 We visited Charleston while at the park and it was a short drive to any and all attractions as well as the beach. Our stay was so great we plan on returning in the future. Stayed 4 nights and enjoyed the facility. We were a late check-in but the office was staffed by Security who showed us the available sites and helped us get checked in. 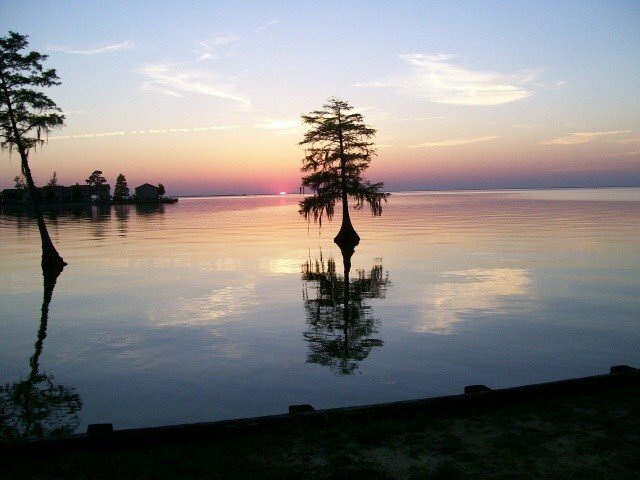 During the week it is peaceful, the lake and beached are enjoyable. During the weekend the park did become crowded but not unruly or noisy. Our spot (site #75) was shaded and water and electric were provided. There is no sewage hook-up at the site so we had to use the dup station, which is very nice and clean. The restrooms were clean and working. My family and I enjoyed our stay and we will use this facility again if in the area. This was the 2nd time I hosted my biannual family reunion at Short Stay. 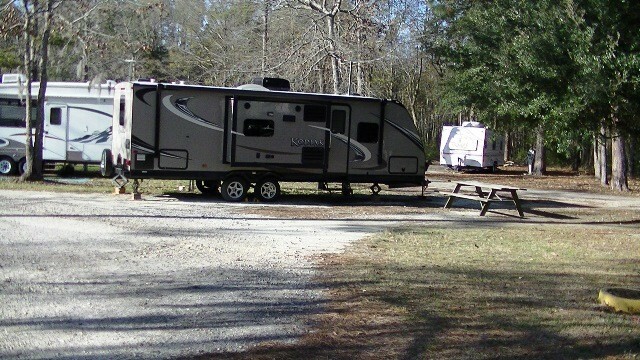 Renting a waterside campsite for my camper and a couple of Villa for my family. All and all, a perfect place for such with only one exception and that is the tremendous amounts of goose crap EVERYWHERE!. The beach was so loaded with piles of goose droppings that all were walking around carefully. Kids where trying to dig the sand with toy shovels but Moms warned to just stay away. The morning raking by a tractor needs to be more frequent. I know money is tight with MWR but this is a health issue. Most of the Villa grounds were covered with piles of poop where the birds roost at night. Sidewalks, parking areas all loaded with droppings. The Canadian Geese are becoming more than temporary and for the few years we've been coming to Short Stay, they are growing in number as they are largely unmolested. I would rate all 5's except for the untended too poop piles. Please CLEAN UP THE POOP and give Short Stay back to us. We camped on the waterfront pad #15. PROS: The view out our back window was picturesque. The pads are new concrete and very wide and accessible. The office/store was clean and well stocked. Restrooms/showers are clean and well kept. Several times during the evenings we observed security patrolling the areas. The park was very busy this weekend, but we never heard loud music, noise or disturbing parties. CONS: The wifi works, but is very slow. There is no sewage system, but the dump station is close by. No cable. All and all, we had a great time and will return in the future. This place is a dump. In the RV section the homesteaders have it looking like the "hood." There is no host because no one will work for a 1099 and no pay. The lady in the store told us the host left because they were charging the host for living on-site. The place has no help and does not plan on getting help. This place would be a great location if someone would take charge and clean it up. Don't go into the bathrooms/showers. This should be removed from the camping list. I'm a native Charlestonian and I have been to Short Stay more times than I can count. 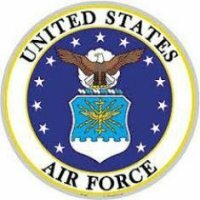 I'm also a DoD employee. Short Stay is a wonderful place to spend time at. 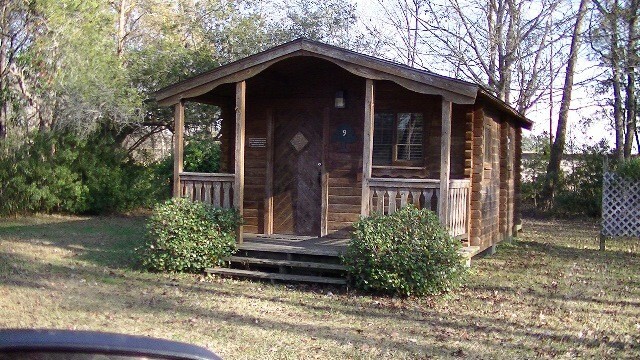 It certainly isn't the Isle of Palms with luxury accommodations, but I'd rather bring my family here than the beach! We've camped, stayed in the 1 room log cabin, and also stayed in the villas. Yeah, they are seriously out dated and worn out, but that's part of the charm of SS. 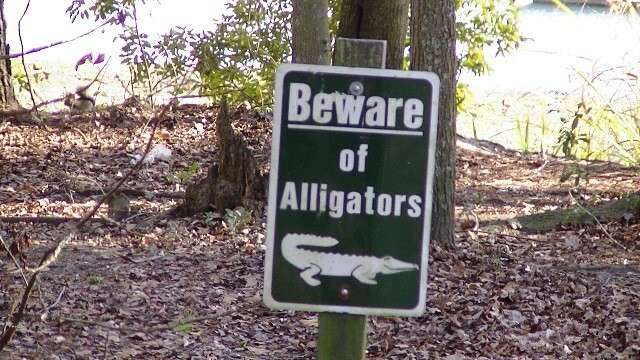 We also enjoy renting their boats and hanging out in the lake. I will continue to support SS and spend my summertime weekends there with my family. Unlike other reviewers, we were greeted by the camphost Ms. Beth, who says she's been there fo'evah. She was helpful, and escorted us to our site (site #44 which is HUGE). She chatted with us while we were leveling the rig (36' that had tons of room to spare) and let us know of the happenings around the campground, the facilities, etc. Then a security guard came by with a tag for the car and a map of the place since we arrived after hours. So the hospitality was great, but I could only rate it three stars because the cleanliness wasn't so great. The bath house had clean toilets, but disgusting showers. The bathrooms at the front near the laundry and game rooms was very outdated, and dirty the three or four times I visited throughout the week. Laundry - 4 washers, 6 dryers (only 4 working though) - if it worked, it seemed to work well, so that was good. Boat ramp #1 was really shallow, but we were still able to put in there. "beach" area had duck poop en masse, and the swimming roped area was rather small, but always had a lifeguard around. 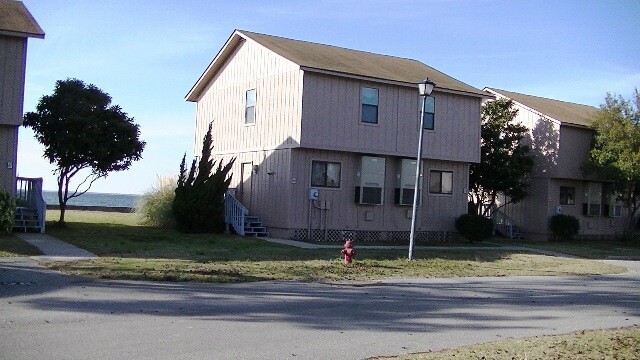 Pros = location was convenient to my family in Summerville and Macedonia. Mostly quiet, folks definitely friendly. Great value at $13/night. Cons = 30 amp service (sweating like crazy when it got to 100 outside because we could only run one A/C unit), no sewage hook ups, and a severely outdated dumping station - old sump pump made that job much worse than it had to be. We have never camped at Short Stay, this was our first time. 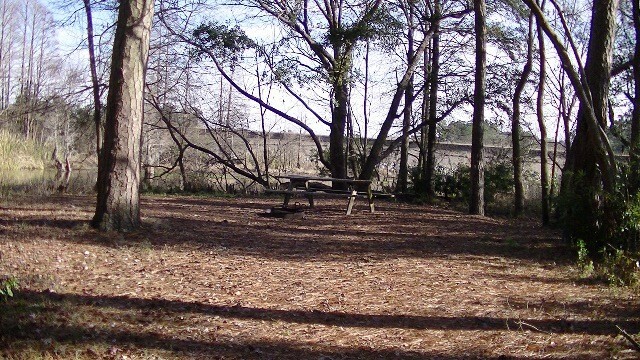 We have gone here for picnics & family gatherings. Bathrooms are really old in the camp area. The ladies was somewhat clean, except for the showers. The mats were so gross that I had to keep my sandals on. The toilets were so old that the paint was coming off, I didn't know if it was dirty or not. The men's bathhouse was never cleaned, my husband went in there Friday night, it had poop on the seat and when we left early Sunday morning it never had been cleaned. He said the showers were so dirty. I agree that there isn't much updating that has been done in many years. The only friendly helpers were the desk help & one police officer. We came out of the bathroom Saturday and we saw a condom by a big oak tree near there, there was dog poop on the grounds (smelled bad) looked bad! 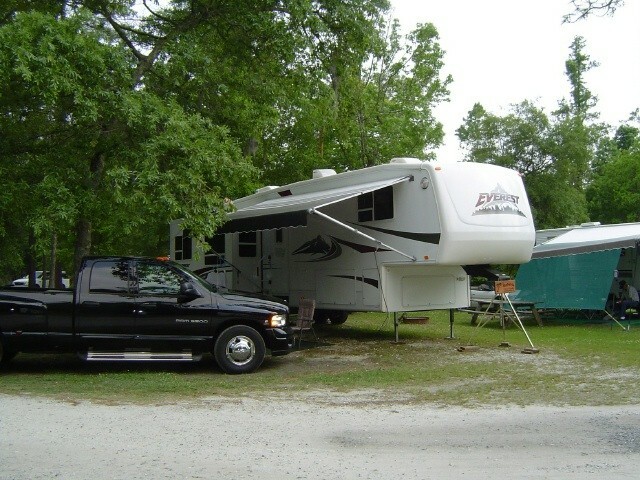 We stayed at Short Stay, 13-18 Jun 12 in campground spot 6 in a Fifth Wheel. We have stayed here several times. Totally enjoy the area easy to take day trip into Charleston. The campground could use some updating but not totally non-enjoybale. There seems to be several rigs that are extended stay and has a lot of items stored outside that makes for unsightly campsite. The same Camphost is there and we have been going for two years now at least 10 stays total. She has not once came to greet us and ask if we need anything. We asked this past stay about getting assistance with the fire pit clean out. She stated go to the front office and ask them. What is the Camphost suppose to do if not assist and greet campers? We have stayed at several FM's and by far this is the WORST Camphost ever. I stayed one night at Short Stay, 24 June 2012 and was in villa #25. The place was clean but outdated...Old. The staff was across the board very friendly and professional. I figure the furnishing from the 1960's era. An example of an inexpensive fix not done would be the shower head. It was old and inadequate by any standard. The villa was stark and unfriendly but the location and neighbors were great. Of note, when I arrived I noticed the US flag was tattered and unserviceable. I brought it to the attention of the facility manager (Civilian) and was assured the flag would be replaced. If you go in the near future and do not see a new, serviceable flag...Ask why? By the way if you stay one night as I did...Bring a bar of soap. 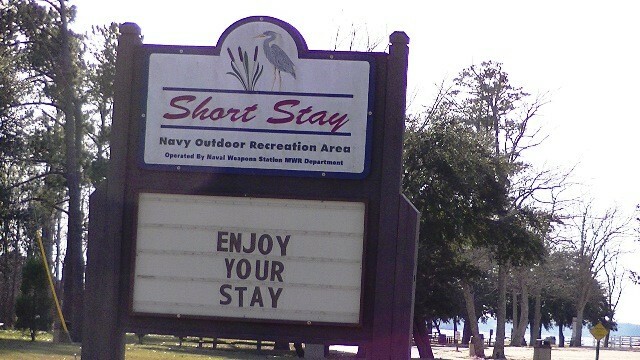 I love Short Stay we go there quiet often as I like it better than going to the beach. This was our first stay at one of the Villas. It felt very dirty, there were hundreds of spiders and bugs IN the villa which was not comforting. The blankets and sheets are about 30 years old and have seen better days. The villas are okay I'd say 2 star kinda deal but they need to be cleaned better the carpets are nasty and you can smell it when you walk in (granted the building its self is old too). The floors were sticky and dirt everywhere, I don't know if it was jut our Villa but it was not pleasant. However, we had a lake front view and the sunset was beautiful. 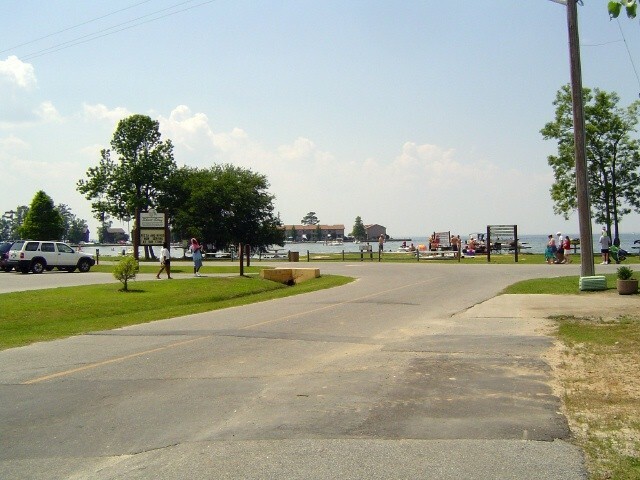 No complaints as far as the campground its self because like I said I love short stay and would diffidently recommend going but if your staying in a cabin or villa you might want to check it out first. 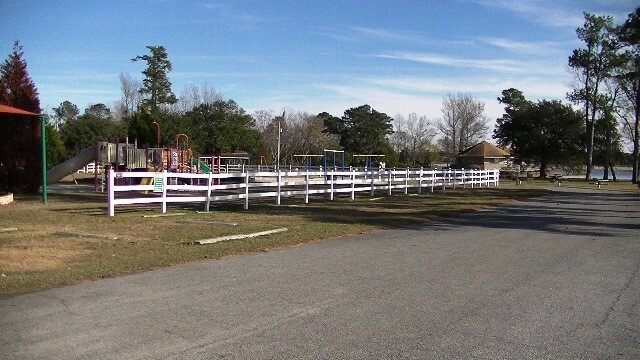 I have been using this RV park for 6 years plus,and i have never wrote and comment about it. I just want to say that the welcome aboard staff at the check-in office are a outstanding group of people,and that the camp host is one of the best in the business. Thank you. However the grounds it self are so dis-organized that it can be confusing. Site are so spread out,and some are really close,and the park lets you store any and everything on your site,that it overflows onto other sites. Kids,dogs,run wide,quite times are NEVER enforced. This place could be one heck of a rv park if only there were uniformity here and that the rules were carried out. Fines need to be placed on people that let there dogs run wild and also not cleaning up after them. 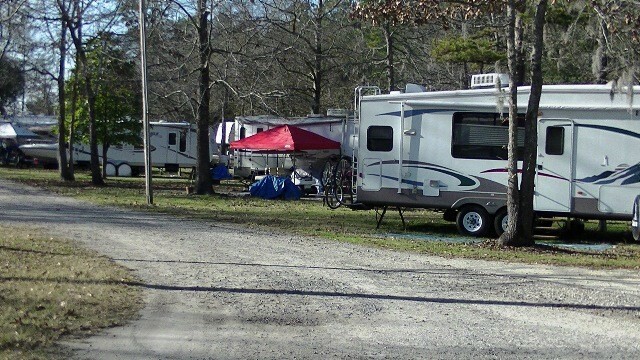 The sites need to be cleaned up and all the trash that rvers collect on their site needs to be discarded,in other words the mind-set of the people that live or visits short stay needs cleaning up as enforcing the rule,have better security. The bath houses are usually cleaned cleaned twice,which it should be,but once they are the pits,because of the people not cleaning up,and allowing their kids to use the place as a play area. I know this will take time,and a effort by all. 50 amps electric would be nice. I'm not a number rater, either I like a campground or I don"t. Well, I like this famcamp! Had electric and water hookups. Large sites. Very clean, had staff cleaning park every day. Park was almost full and very quite. Lake was beautiful. Will certainly come here again. 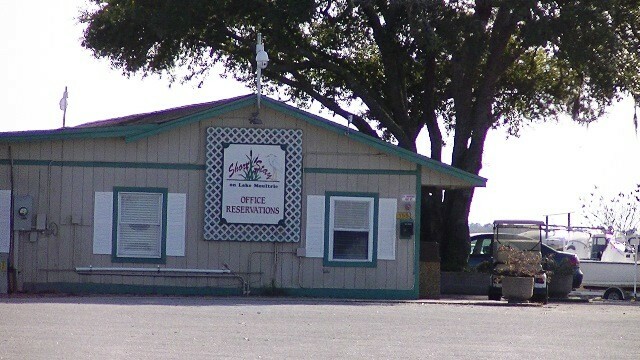 Great place to stay, price is right and campground is good. Our complaint was security. First night there we had a dog next door barking and yowling until after 1am. Second night there same campsite had a loud party going on. We called security and complained, they went to the site and left and the noise did not stop. We were awake until 2am listening to it. Next day, we go to park across from the conference center to pick up wifi. One security car came by and said nothing. Another came and told us we could not park there. Day before there were at least 10 cars parked there as they were having a festival at the conference center. We are disappointed security was not more aware of what was going on.